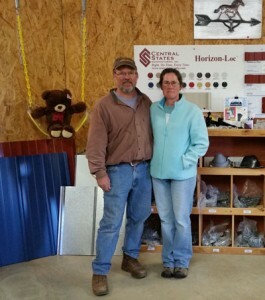 Blue Ridge Buildings Plus started as a family owned business in 2006. New ownership in September 2014 continues the original goals and values that this company stands for. The “Golden Rule” – do unto others what you would have others do unto you – is what we strive to carry out in all our business dealings. With over 30 years of experience in the construction trade, we know what it takes to build with quality and efficiency. Our business has expanded way beyond storage buildings since 2006. We now offer just about any type of building that can be imagined. We have created climbing gyms, custom horse barns, and a very unique tiny house customized to the client’s needs. No cabin is too big or too small for us – we can build onsite or at our shop and deliver to location. We value the natural beauty of our local communities and believe that our durable buildings fit in with the environment. Because metal roofing is easy to recycle (unlike many plastics and petroleum products) our buildings will have a long term impact on keeping our environment clean and green. We depend on our local community for our customer base and support our community by buying from locally owned businesses whenever possible. This benefits everyone providing opportunity to sustain our livelihoods here in the Republic of Floyd. Stop by our shop and show room – we would be happy to meet with you and discuss your ideas.